Middle Schoolers! 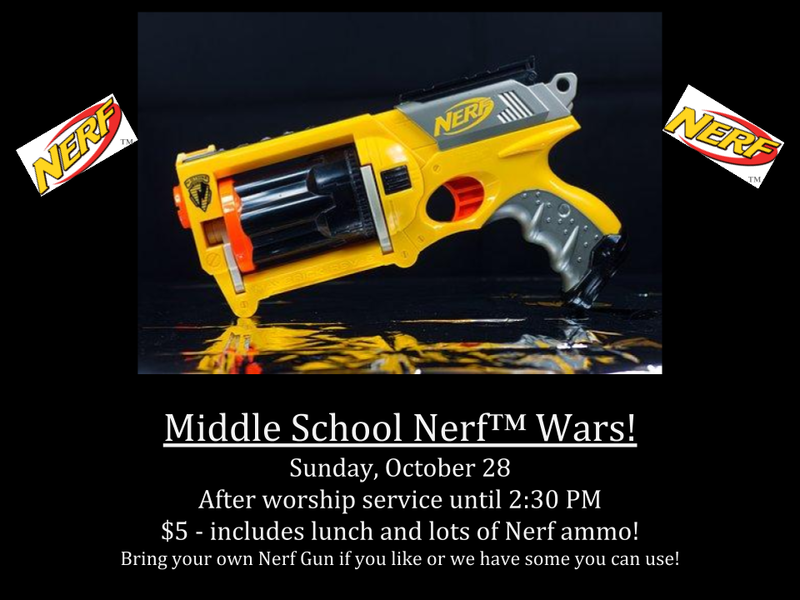 Plan on staying after worship on Sunday, October 28 for NERF-WARS! See how the halls of the church building become dangerous corridors as skin-pelting foam objects threaten to take you down! Nerf gun if you have one – we have plenty to borrow. We have tons of ammo for you to use.